An acquaintance owns the Esparto depot. It is a Common Standard No. 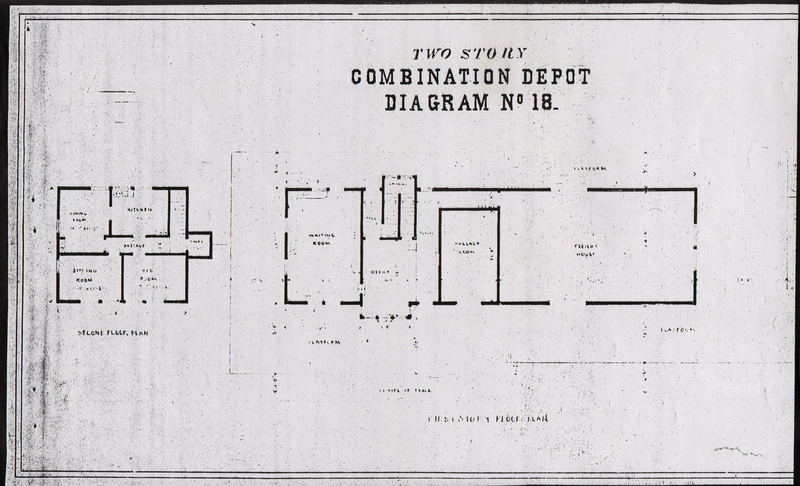 18 combination depot similar to depots in Livermore, Danville, Walnut Creek, Benicia, etc. Does anyone have any drawings of this, or similar No. 18 depots that they might be willing to share? Mountain View had reconstructed one such depot some time ago. They must have had some drawings upon which to base their work? Courtesy of the Southern Pacific Engineering collection at the Oregon Historical Society in Portland. There's either complete or partial No.18 drawings at CSRM Library. It may be just details and interior plans, but worth asking Cara Taylor, Librarian. The attached is the positive of a photocopy of a blue print found in the Southern Pacific Engineering collection at the Oregon Historical Society in Portland. I have added a copy of a #23 depot to help with some of the detail. 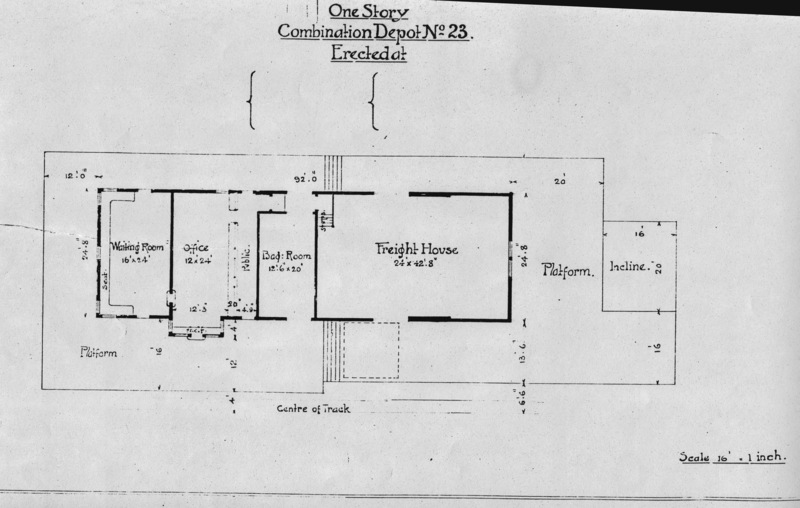 There is a complete set of combination depot floor plans in this collection, but most of them are murky. They are all overheads.